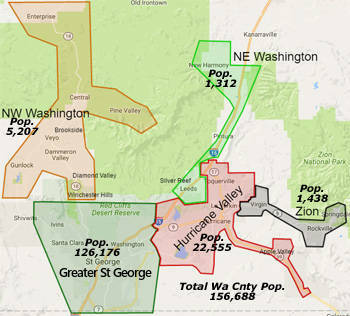 Welcome to your one-stop source for St George Utah real estate! 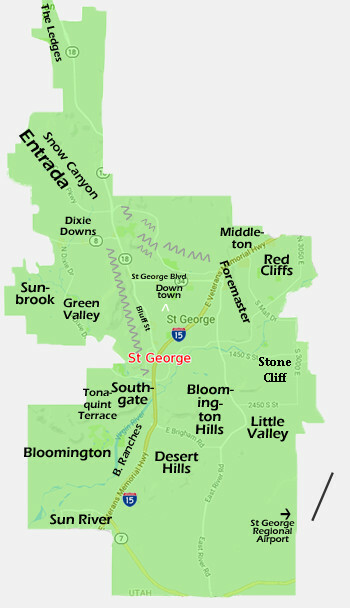 You'll find all the condos & homes for sale in St George Utah and surrounding areas, as well as over 260 pages of information for our beautiful city, area cities, and major neighborhoods and subdivisions. We are centrally located in the Midwest of the U.S. and are a popular tourist and stopping through destination along I-15. The real estate is often another thing setting St George apart with our various southwestern and adobe styled homes. As the hub for the rest of the area's cities, taken together it is the most populous area in the whole southern state region. 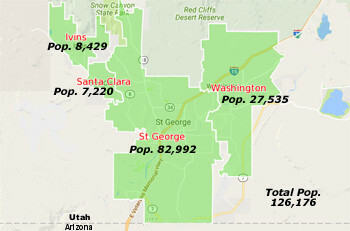 St George is located in the high mountain desert at about 2,800 feet of elevation. The climate is milder in the winter months, getting only 1/8th the amount of snow as compared to the average city. 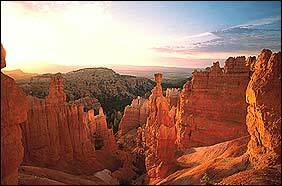 Whether it be the Tuacahn Amphitheater set in the red rocks or the exclusive red rock and lava flows, the area holds quite an illustrious charm all its own and caters to an increasingly diverse influx of people. Most agree that the cost of living and housing are much more affordable than most places along the west coast. From elaborate luxury homes set in the middle of stunning views to modest beginner homes or condos or town homes, there are a variety of neighborhoods to drive through and homes to choose from. Most of our homes are of a southwestern design. Many of the elaborate or luxury homes take on the adobe or flat roof designs as well and are located either on indigenous lava flows or take advantage of the local Big Red or Pine Valley Mountain views, like in Entrada, Southgate, Green Springs or Stone Cliffs.These home designs are so popular, as evidenced by a very high attendance every year to our famous St George Parade of Homes, with many travelers from the north and colder areas. All enjoy a trip "down under" to indulge their dreamy fantasies. Couple that with our local hospitality and dreams turn into reality as these home designs and settings leave a positive impression, helping to direct and influence later decisions to come buy and settle here. Because of this and other reasons, the city is growing beyond local hills now with grocery stores going in on the outskirts helping those places grow even further. New homes for sale compete with the resale market, helping to diversify and keep prices in check as one competes against another. In the resale market, established trees, neighborhood, and landscaping compete against the nicer finishes of the new homes. Much of our homes are built out around golf courses and are a lively part of how the communities and neighborhoods are shaped and mingle together. These greenbelts add to the beauty of the area and its homes. Many condos or patio town-homes are intermixed all throughout the hills and golf courses, with many of them being friendly to retirees, if not some of them being exclusive 55+. Part of the area's charm is that this layout affords for a variety of these types of developments. 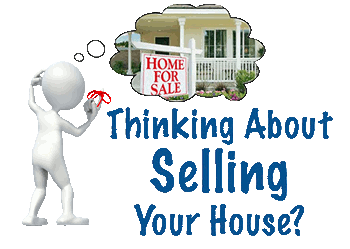 Our Realtor® team have lots of experience to make sure the sale of your home goes smoothly! Maintaining the most amount of internet traffic we have been the EASY choice for many sellers to get the most amount of exposure anywhere! See why people like our marketing plan. 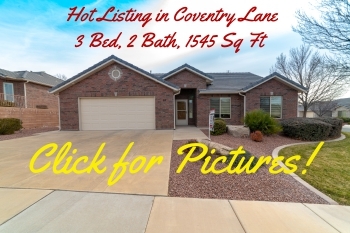 Become one of our featured listings below, by calling now.